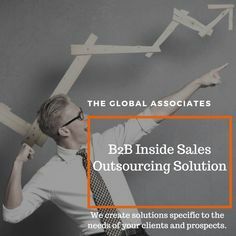 The business environment has undergone a sea change over the past few years; relying on old, time-tested tools hasn’t remained a viable option for The Global Associates Lead Generation Services in this internet age. These tools have now become irrelevant, or at least less effective, promising-looking leads often slip away from the grasp of lead generation services causing distress and disappointment. The top executives are very well-informed and have extremely tight schedules today, one needs to find new and more effective methods to approach them. The social media provides a platform to remain in constant touch with prospective buyers and your industry peers at a time when traditional print marketing has been going downhill for some time. Quality is just as important an aspect as quantity for lead generation services;, creating quality leads is a big challenge in today’s scenario. One needs to adopt new, more powerful tools and devise effective strategies to handle the situation; different and distinct strategies are required for tackling different business levers to enable you to increase sales. Online marketing methods, like a good website, search engine optimization and email campaigns etc can help you produce spectacular results without putting extra pressure on your resources. Online tools like social media sites provide an effective platform to help you widen your contact network. You also get an accurate idea about the market demands to devise your strategies accordingly. You are able to maintain a regular touch with the customers, prospective clients and your industry peers using this platform. Social media has become a necessity, a way of life for all sections of the society today. You can use various online services to spread your reach and attract quality leads on a regular basis through your growing business network. Lead generation services can make their campaign more appealing by attracting their target audience through developing fascinating content. This may include Ebooks, Webinars, and PowerPoint presentations etc. You must make developing good content your first priority as it never fails to attract prospective customers and produce excellent results. Social media helps you achieve this objective and establish your brand value. The present-day business environment presents several challenges for lead generation services; they need to adopt new and more effective tools and techniques to stay ahead of their competitors. Shedding old, worn-out tools and embracing online marketing methods will certainly help lead generators revitalize their working and taste unprecedented success.